Complementing the popular BBC series, every issue brings you exclusive extras from celebrities' research, practical advice on getting started, and expert reviews of the latest books, and online resources to help you find out about your family's past. Also, learn how to uncover the history that is on your doorstep in our local history section, with accessible articles written by leading historians. Who Do You Think You Are is a great magazine which is very informative providing readers with useful and valuable information on how to trace family trees and where to find the best resource to help you. Tracing your family history is a fascinating hobby. 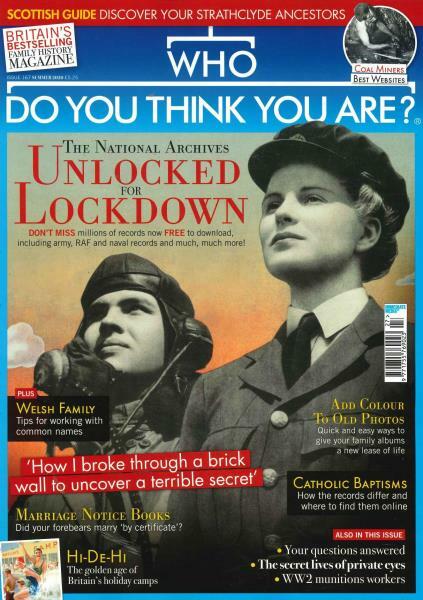 Subscribe to Who Do You Think You Are Magazine Today and uncover your past family history.